What measure will you take if you want to upgrade your car’s capacities and improve your driving experience? Some car owners may buy a brand new car for getting access to upgraded features, which is not a practical way for most car owners as a matter of fact. 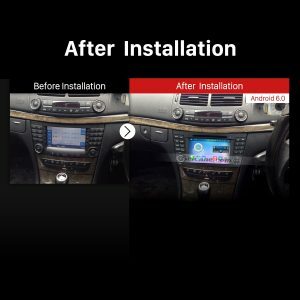 In my opinion, you can easily upgrade the factory radio with a new aftermarket car radio which can bring you a lot of convenience and enjoyment so as to provide you with a brand new driving experience. 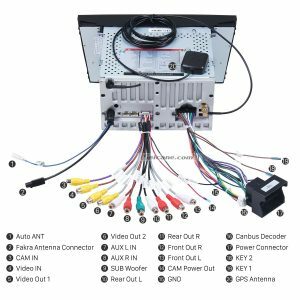 Today I’d like to introduce a detailed installation guide from Seicane for a 2002-2008 Mercedes Benz E W211 E200 E220 E230 E240 E270 E280 E300 E320 E350 E420 car radio to you. Wish it is helpful for you. 8. 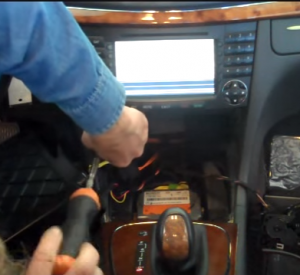 Pull out the original car radio gently, then unplug the connectors at the back of the car radio. 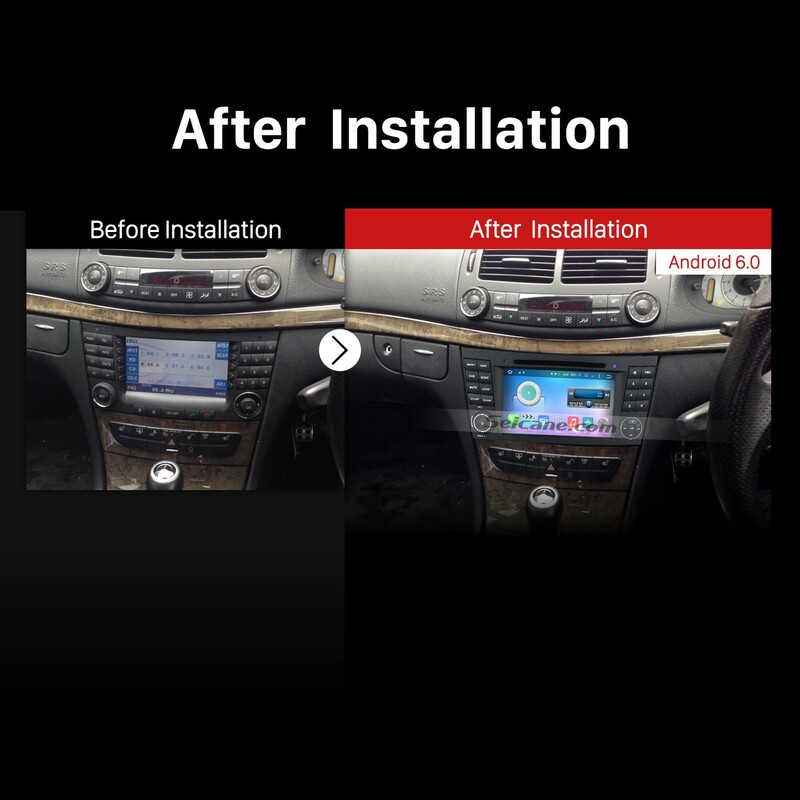 Based on the most advanced Android 6.0 operation system, an 8 – Core 1.5 GHz RK-PX5 A53 processor and 32GB INand flash as well as 2GB RAM, this unit enables its users to embrace a much smoother and faster operation experience and enjoy its higher and better capacities and performance. 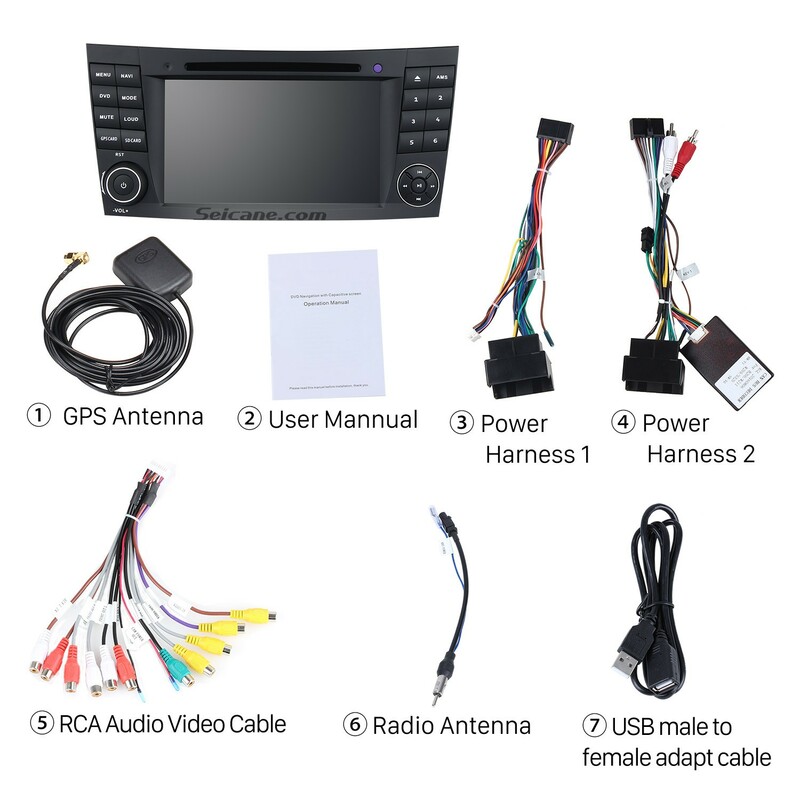 With the assistance of the high-end 3D GPS navigation system, you can easily locate where you are and accurately find the right way to reach your destinations without getting lost according to turn-by-turn directions and voice prompts. 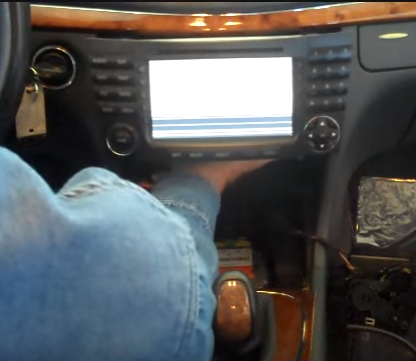 Additionally, thanks to this unit’s dual zone function, you can freely listen to music while navigating. While as for the entertainment features, you can take advantage of this unit’s DVD player function to play whatever you like to relax both yourself and your passengers.